Dot Meyerhoff has barely settled into her new job as a psychologist for the Kenilworth PoliceDepartment when Ben Gomez, a troubled young rookie that she tries to counsel, commits suicidewithout any warning and leaves a note blaming her. Overnight, her promising new start becomesa nightmare. 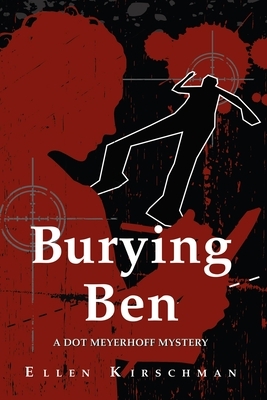 At stake is her job, her reputation, her license to practice, and her already batteredsense of self-worth.Dot resolves to find out not just what led Ben to kill himself, but why her psychologist exhusband, the man she most wants to avoid, recommended that Ben be hired in the first place.Ben's surviving family and everyone else connected to him are determined to keep Ben's storyasecret, by any means necessary. Even Ben, from the grave, has secrets to keep. Right from the start, Dot's investigation efforts get her into trouble. First she alienates Ben'straining officer, who is barely managing to hold onto his own job. With the police chief watchingover her shoulder, she tries to help the officer with disastrous consequences. After reaching out toconsole Ben's pregnant--and slightly sociopathic--widow, Dot winds up embroiled in the affairsof her incredibly dysfunctional family. Dot's troubles are compounded by a post-divorceromance, the ex who still has a hold over her, and an unwelcome visit from his new wife. By thetime she uncovers the real reasons behind Ben's suicide and brings the people responsible tojustice, Dot has not only resurrected belief in herself, she has also acquired some surprisinglyuseful new skills: impersonating a public official, burglary, and assault with a deadly weapon.